The Sheep Whisperer: Tarantulas & Ewe 2 ! 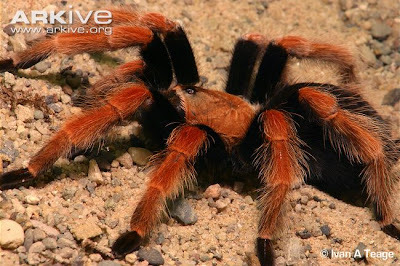 The Goliath Bird-Eating Tarantula is a fascinating arachnid, that is quite resourceful. Its stealthy hunting style & unique arsenal of weaponry, assist these beloved "Goliaths" in standing out as really "Awesome Arachnids". However, they're not the only arachnids in town. They have some "cool" relatives that we're going to further explore. Hope Ewe enjoy them. I'm a "Mexican rust leg" enjoying life "South of the Border"! 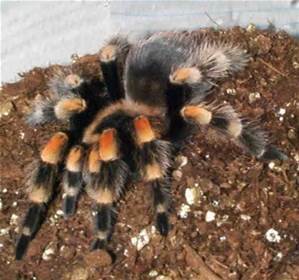 Generally speaking, female tarantulas live longer, 25-30 years, than their males counterparts, 10-15 years. 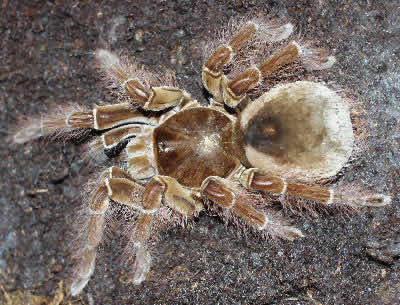 The Goliath Bird-Eating Tarantula actually tries to eat the male she mates with. He is very fortunate to escape with his life! This practice adds a whole new meaning to long-lasting marriages. Do I look like a cannibal to Ewe? I just see males as a protein source! 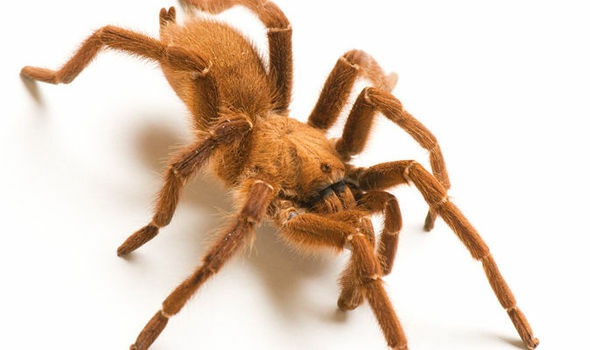 Tarantulas appear "creepy" to us! However, their venom is less dangerous to humans, having a similar effect as a bee sting. 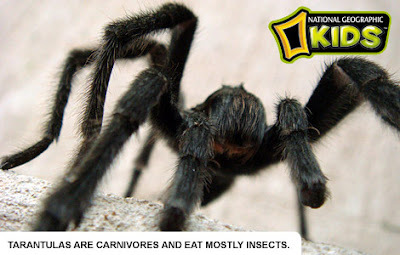 Many species are docile in nature & make for safe, unusual pets. Even though they have 8 eyes, they rely mostly on sensing the vibrations of insects moving around them through their hairs. "Good Vibrations" is my favorite song!Be nice to me & I'll be nice to Ewe! 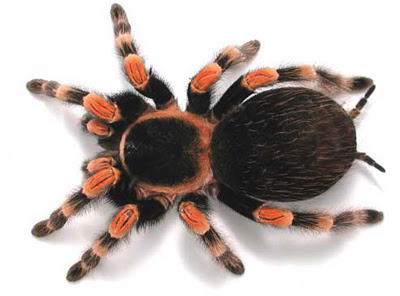 The name tarantula was originally given to spiders in the town of Taranto in southern Italy. A local legend stated that if ewe were bitten by a spider, the only cure would be to dance. This frenzied folk dance was called the tarantella. 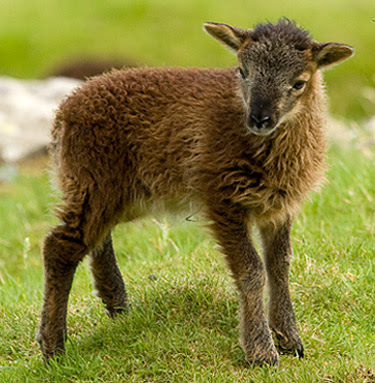 Legend has it that if Ewe dance to near exhaustion , Ewe would sweat the poison away. Ewe do know I like frogs & toads as well! Ewe better not be fooled by Good Looks! I'm still deadly to bugs! 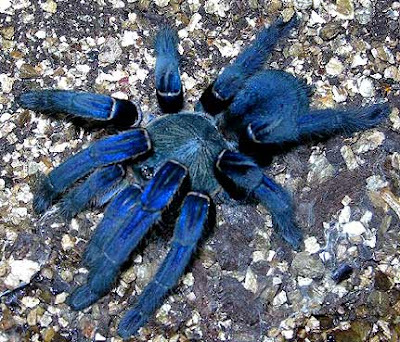 There are a host of other "Colorful" tarantulas that occupy our planet! Here are just a few for Ewer enjoyment. 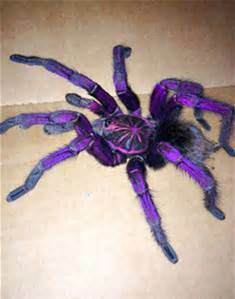 I'm a "PURPLE BLOOM" tarantula that Ewe don't want to see in Ewer flowers! I'm a "Mexican Red Knee" that will make Ewe dance! 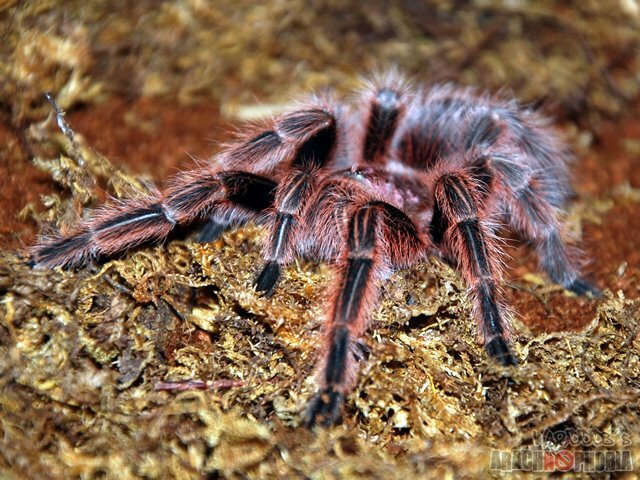 I'm a "KING BABOON" Tarantula that doesn't "Monkey" around! I'm a "Chilean Rose" & I do not make a good "Valentine's Day gift! Sheep at times will wander & subject themselves to danger. Predators, similar to the tarantula, are always on the look-out for stray sheep. The Shepherd must always be ready to both seek after & protect his flock. 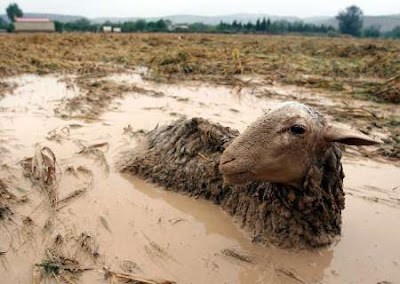 Ewe know I could really use a little help here! Help! Does anyone know where the herd went? As Ewe live life today, travel close to the Shepherd. He will show Ewe the path of life!